This week, I think, has been a particularly successful week at Chung Dahm; maybe because the term is coming to a close, maybe because testing is over and the students are more at ease, or maybe I’m actually seriously getting the hang of this teaching Chung Dahm style. Whatever it is, I am thankful to whatever beneficent entity aligned the planets of teaching in my favor. My Mega kids are learning about “Unsolved Science Mysteries” and we’ve been considering the possibility of life in outer space, particularly on Mars. I’ve supplemented the in-class readings with internet images of Mars’ surface as well as images of the various space vessels that have been propelled to that planet. The kids are not as amazed by these realities as I was when I was a child and space travel was still very new. They seem to have every confidence that scientists will in fact find life on another planet or at least discover a planet that is compatible enough for life that we earthlings will be able to immigrate to it before global warming fully destroys our earthly climate. One of the “Critical Thinking Projects” involved envisioning life on Mars and drawing a picture of a creature from that planet. Most of their illustrations were based more on fantasy than fact and proved to be very imaginative. One group of students depicted alien life looking very much like Sponge Bob. I started the class by asking the kids “if you could be any animal at all, what would you choose.” The answers were bird, dolphin, whale and cat. I showed them a couple of videos of animals with prehensile tales, namely a pangolin (a kind of anteater). Later, during the post reading (which was about prehensile TONGUES) I showed them a video of a chameleon catching a grasshopper with its tongue in slow motions, which quite impressed my students. I then accused my students of hiding their prehensile tongues and tails from me, which they though quite funny. The “Critical Thinking Project” for Monday’s Bridge class involved considering attributes non-human animals posses that are useful and imagining what two attributes would be neat for a human to have. Everyone picked the ability to change colors, like the chameleon, but no one picked prehensile tails. We all drew pictures of our ideas and taped them to the wall. One student thought wings would be nice (the same student who said he’d like to be a bird), another student chose smelling as a preferred attribute because then she could easily find chocolate cake, which sounded like pretty sound logic to me. Two other students chose the ability to run fast so they could shop quicker and easier. I chose a turtle shell and wings, which my students found pretty fascinating. That way, I explained, I could go to fa- away places and still have my home with me. Tuesday’s Tera class involved the “Roots of Rock and Roll.” During this unit I played a number of youtube clips of Fats Domino, Chuck Berry, the original movie trailer for “Blackboard Jungle” (which they really disliked) and finally a clip of Run DMC on “Reading Rainbow” (mostly because our text makes a connection between the rock movement of the 50s and the hiphop movement of the 80s in terms of cross-over music). They thought Fats Domino was ugly and had a hard time believing Chuck Berry was really black. DMC seemed to be their favorite clip. I showed the kids some 50s and 60s dance moves. They loved it when I did the twist. I have two Birdie level classes, one on Tuesday one on Wednesday nights. My Tuesday night Birdies are a surly, sullen bunch, but I am starting to get through to them. I have of late been rewarded with a smile or two from some of the most surly. My Wednesday night Birdies are all girls and the atmosphere of my Wednesday night class is quite the opposite from Tuesday’s. I spend more time trying to get the girls to stop talking and focus on the lesson. But we all really like each other and, amidst discussions of pop music, shoes and movies, manage to get our work done every week. I work really hard for Chung Dahm, and Chung Dahm demands it of me, but because I love the students it is worth it and I am thoroughly glad I’ve come to S. Korea. There is also a chocolate museum and factory, where one can purchase Jeju Island chocolate. The area is famous for it’s orange chocolate, which make sense when you realize that the island is also famous for its delicious oranges. 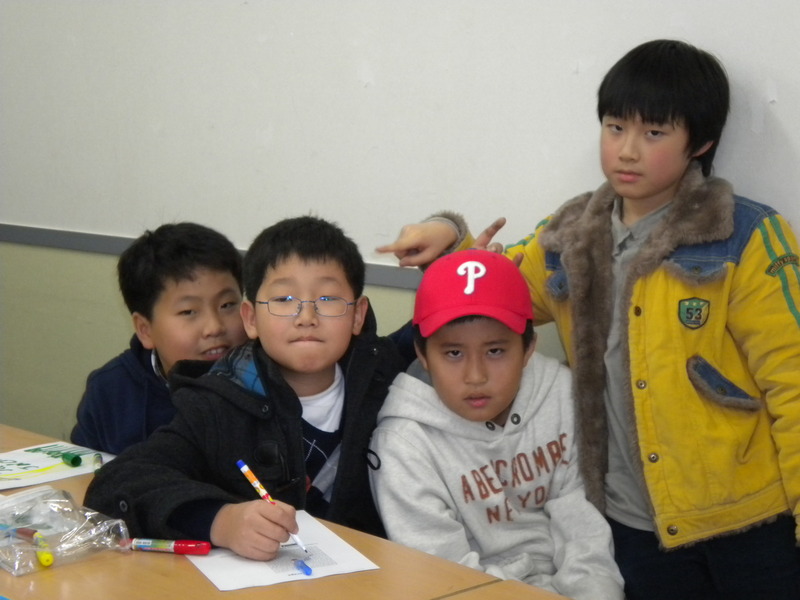 This entry was posted in Tales From South Korea and tagged Tales of South Korea, Teaching English as a Second Language, Teaching in South Korea, Zingara Travels on November 22, 2009 by Lisa M. Hase-Jackson. We miss you, but look forward to the updates. The Bird/Turtle thing speaks so true of who you are. Though I think Gary would just think Pokemon or some such. Keep writing, some of us are still watching. Lisa, I’ve been reading your blog since you left. I feel as though I’m sitting with you listening to you talk about your day. Thank you for taking the time to write the blog as I look forward to reading about your day of teaching or your adventures in the city. Take care.